In order to help new employees better understand the development history of China Transport, better integrate into the China Coal family and inspire everyone's work enthusiasm, on the afternoon of May 5th, the Shandong China Transport human resources department regularly organized new employees activity. In addition to the induction training and seminar activities, more than 30 new employees from various departments of the Group and various companies participated in the training. 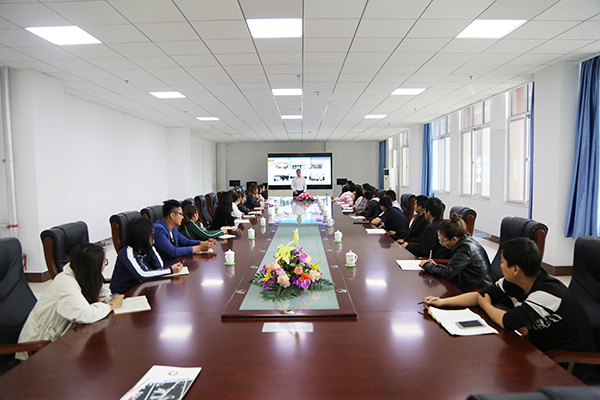 The training was organized by Human Resources Department Feng Yuyang, and China Transport Executive Deputy General Manager Li Zhenbo and China Transport Human Resources Department Zai Hongru attended the forum. 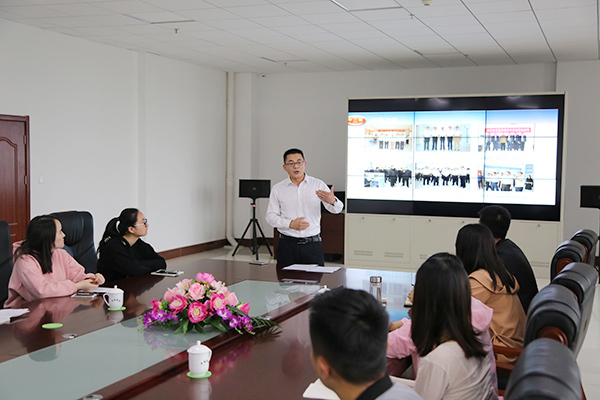 At the training conference, all the new employees jointly watched the special feature film of China Transport TV and fully understood the brilliant development history, honors of the Group and the Group’s e-commerce, cross-border e-commerce, intelligent manufacturing, software development and smart logistics in recent years. And other areas have achieved outstanding results. Through watching the video, we have a deeper understanding of the group and also strengthened the confidence of the new employees to join China Coal and China Coal. 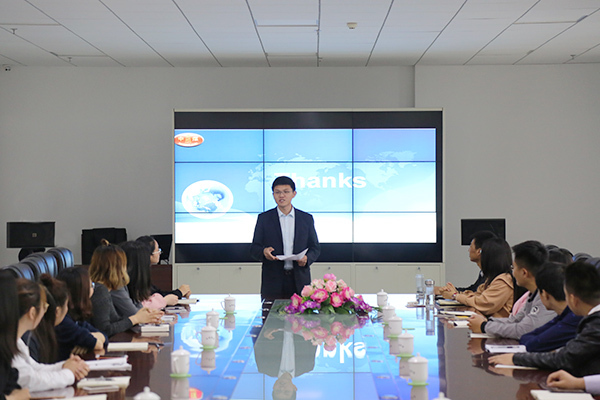 Afterwards, Mr. Feng of the Human Resources Department gave a detailed introduction of the company’s corporate culture, company rules and regulations, professional etiquette and other relevant contents. He also led new employees to visit the Group Cultural Exhibition Hall. Everyone talked happily and the words were full of words. The recognition of the new work environment and the promise of a bright future for work. 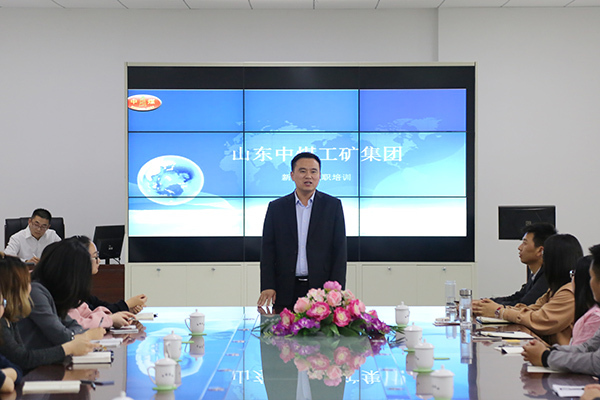 After the training, the head of the Group’s human resources department, Rui Hongru, presided over a new employee forum. At the meeting, Li Zhenbo, deputy general manager of the Group, first expressed warm welcome on behalf of the Group to everyone joining the China Coal Family. He stated that China Transport provided a good development platform and broad space for development for all employees, hoping that everyone would adapt to the new The working environment quickly grew to become a good Chinese coalman! Later, in a relaxed and pleasing atmosphere, new employees spoke positively. According to their work situation and personal experience after entering the company, they explained their understanding of their work, their personal development and their suggestions for the future development of the company. , sincerely expressed the pride of being a Chinese coal person, and also expressed our desire to stand on the job and willing to contribute to the development of China Transport's youth and wisdom! Through this new employee orientation training, not only has inspired everyone's work enthusiasm, but also has further strengthened the company's cohesiveness, so that everyone is full of confidence in the future career development. Everyone expressed that they will definitely live up to the expectations of the Group's leaders, grow together with China Coal, make progress together, and do a good job of their duties with a high sense of responsibility and rigorous work attitude. They will use high work enthusiasm and positive learning attitude for China Coal. Development contribution!